Introducing the Balenciaga Spring/Summer 2019 Bag Collection. 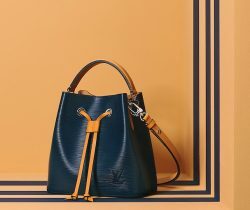 This season, the iconic Classic City Bag gets updated with a new design wherein the straps..
Presenting the Balenciaga Fall/Winter 2019 Runway Bag Collection. Balenciaga featured a Men’s and Women’s Collection during the Paris Fashion Week. As Demna Gvasalia..
Presenting the Balenciaga Resort 2019 Bag Collection. Balenciaga’s signature handbags are back this season, including the Classic City, Papier and Navy Cabas. Newer.. Introducing the Balenciaga Spring/Summer 2019 Runway Bag Collection. Demna Gvasalia presents clutch bags and minaudière in a variety of designs. It comes in..
Presenting the Balenciaga Pre-Fall 2018 Bag Collection. Balenciaga continues with their logo and graffiti handbags this season. The brand introduces a new top.. In another exciting news, Balenciaga is also having a Spring Sale! The sale includes clothing, shoes, accessories, small leather goods and handbags. The.. Ever since Balenciaga released the Balenciaga Triple S, the “Ugly Dad Sneaker” has been trending. The Triple S features an American style oversized..